I have been sitting on my Abysinnia kick starter for the Otherside for a couple of months and it is time to get it painted. There don’t seem to be many hobby blogs for the otherside, so please show me what you have done with your Abyssinia models! Hey, there! I've been painting Malifaux for about two years. 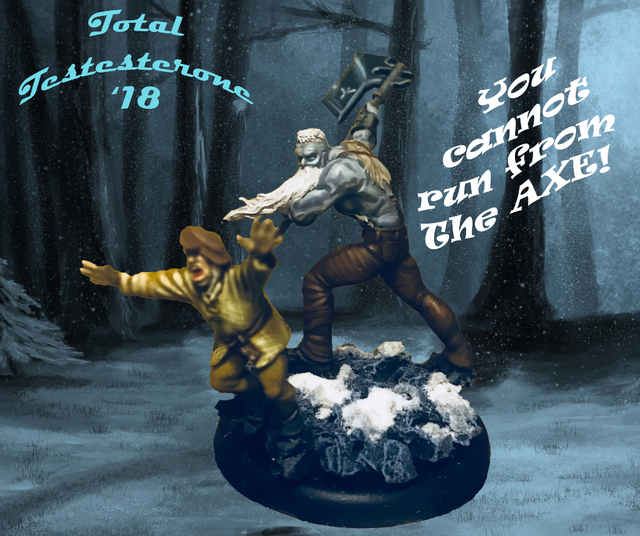 I post mainly on instagram and A Wyrd Place facebook group, but as suggested by @thatlatinspeakingguy I'll be posting my Malifaux works in this subgroup as well! I too write sometimes about my work, here is the link if one's curious https://cgwilsonh.wordpress.com/. Let's start with Reva. When I first looked at this model, I noticed that Reva's base has got quite a lot of unused spaces. I saw this as an opportunity to do a semi-diorama like approach for the model (also the works of Johan Hoflin and Davor Brkic (miniature_mutant) really inspired me to do this approach). I made the dead tree by twisting a bundle of wires with some greenstuffs to close gaps. The candles were sculpted greenstuffs, and the gravestone was from Green Stuffs World (I think). This model was a stepping stone for me towards the diorama side of the miniature world. Box to Tabletop (Ep. 1 Pt. 4): Painting Black Hair (Domador de Cadaveres by Wyrd) enjoy! Here’s the second crew I completed, and the one that made me fall in love with Malifaux in the first place. Though if I’m honest it’s not my favourite crew to play, it’ll always have a special place in my heart as they’re just so dang cool. That or The Dreamer has some sort of hold over me... I took the idea that he’s some sort of corporeal being as the inspiration, and instead of painting him in Caucasian flesh tones opted for more of a blue-grey colour scheme, using the other creatures to bring vibrant colour back to the crew. Hey everyone! I really struggle getting my models painted (I'm more of a gamer than a painter) but I've recently gotten into my painting in a big way, and wanted to share some tips on breaking painter's block with the world. This little vlog is the result, hope you enjoy! Extra Life 24 Hours of Gaming Charity Event at Dragon's Lair Houston When: 10am Saturday, December 2nd through 10am Sunday, December 3rd Address: 21151 State Highway 249, Houston, Texas 77070 Dragon's Lair Website Dragon's Lair Houston is hosting a charity event with Extra Life for Texas Children's Hospital to help the families of sick kids. As part of this event, there will be a handful of Malifaux events including: Malifaux Demos: 10a- 4p If you've never tried out Malifaux before, now is the perfect chance to learn! Come out to try out this great game! Enforcer Brawl Tournament: 4p - 6p Never played Malifaux before? That's ok! In this crazy, quick to play format you control a single model in a everyone for themselves brawl to see who is the champion! Bring your own models, or if you don't have any, anything you need can be provided for you! $5 entry fee goes to the Charity drive and the overall winner will receive a special edition crew! (other prizes will be determined based on number of entrants) Hobby and Painting Demos and Personal Instruction: all day as time permits Whether you are new to miniatures games or and old hand looking to learn some new tricks, come on by to learn something new! Doug, the local henchman, will have his hobby and painting gear with him to help teach you to level up your hobby game! (please provide your own miniatures and paints) Donations accepted to help out with Charity drive! Malifaux Open Play: 6p – 10a Come get a game of Malifaux in! A Journey of Many Paths - 2017-05-18: Asami Done! This is my very first forum thread on any game I have ever played, so we'll Malifaux has sparked some new in me. So this is where I'll post my painted models and other Malifaux related art. Hofzinser - Turning Gray Plastic into Full Color! I will keep updating this thread with my work as it gets done. Here are some finished models to get things started. You can also see updates on my Malifaux painting blog: http://gray2color.blogspot.com/ The good Dr. Grimwell Mr. Mercury (Performer) The damaged but deadly Phiona Gage! The Latigo Crew Box The Sonnia Criid crew box Stay tuned for updates! I know very little about the game of Malifaux itself, having never played it. The aesthetic of the game is absolutely amazing though. I'm very much a novice hobbyist/painter but I think I'd like to try my hand at some Malifaux models. Which 4-5 models could be considered "easier" in terms of building and painting and so could be good for a beginner hobbyist. Faction isn't so much a concern yet. Thank you in advance for any input. Hi all! My wife and I are just getting back into Malifaux after a long hiatus. After diving through our collection we discovered quite a few of the new plastic kits we never really got around to doing anything with. In particular, one set had a certain brilliance that called to me from it's foam tray... Dark Debts! After a glut of terrain bashing, it's time to finally get Mr Lynch ready to rock! I've always been a bit nutty about painting for skirmish games- especially Malifaux! In particular, I feel like it's so important to really make the rich background of the characters shine through! Dark Debts is a fantastic opportunity to get back into the swing of storytelling with models. Mr Lynch and crew have a dark (heh) background that really gets told through each piece. I started with basing the models, and after a *lot* of reading felt pretty comfortable with the story of Lynch and the Hungering Darkness. Below you'll find pics of the crew standing proud on their new bases. I'm hoping to have everything painted up over the next couple weeks, and I'll drop in new photos as we go along. *****As a note, the ideas aren't entirely original! Google Image Search was incredibly helpful in providing inspiration. 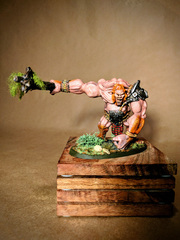 Something I've always loved about the miniatures community over "fine art" is everyone's willingness to share and teach!